United Democratic Front (UDF) Presidential Candidate Atupele Muluzi has pledged to commit himself to ensuring that smallholder farmers have access to profitable agriculture markets once voted into power. Muluzi made the pledge when he signed a memorandum of understanding (MOU) with Oxfam in Dedza. The signing of the MOU follows the official launch of Access to Agricultural Markets by the British charity Oxfam that aims at inducing aspiring leaders that once voted into office, they should ensure that smallholder farmers have access to functional agricultural markets through making and approving sound laws and policies. Speaking after signing the pledge card, Muluzi said it was a pleasure for the UDF to sign the MOU considering that the party was also committed to improving farmers’ welfare in the country. ‘’It is our promise that once we take over government, we will improve farmers’ access to agricultural markets and reactivate ADMARC [Agricultural Development and Marketing Corporation],’’ Muluzi said. He said his government would try as much as possible to bring investors to Malawi so that some agricultural products should be processed here in the country. Commenting on the MOU, UDF shadow MP for Dedza North Constituency, Howard Kananji said for a long time, the country’s smallholder farmers had been complaining about the scarcity of markets for agricultural products. He said the UDF was ready to change things for the better. ‘’As an MP in Dedza, a district which is well known for its agricultural activities, I am happy that our president has signed this memorandum of understanding and I will follow his footsteps to bring back smiling faces of smallholder farmers,’’ Kananji said. On his part, Oxfam Media and Communications Coordinator, Daudi Kayisi, expressed his gratitude for the overwhelming response from aspiring leaders since the campaign was launched. ‘’As Oxfam, we are very happy with the positive outcome the campaign is yielding and we are assured that whoever will take over government on May 20 will surely deliver on their promise,’’ Kayisi said. He said it was Oxfam’s dream to see smallholder farmers benefitting from their sweat and contributing a lot to the development of the nation. 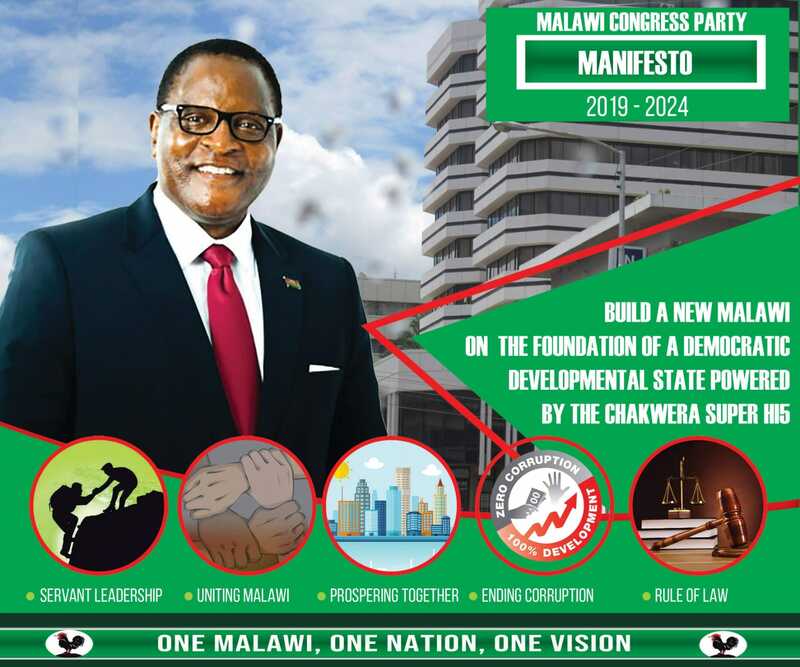 Apart from Muluzi, another aspiring leader who has so far signed the MOU is Malawi Congress Party (MCP) Presidential candidate Dr. Lazarus Chakwera. Next on the list to sign the MOU is the Democratic Progressive Party (DPP) Presidential candidate, Arthur Peter Mutharika to be followed by People’s Party (PP) Presidential Candidate, President Dr. Joyce Banda, according to Kayisi. Kayisi encouraged other interested contesstants, whether parliamentary or presidential candidates, to come forward and request for a pledge card and any other information from Oxfam. The campaign is an initiative of Oxfam in conjunction with other organisations such as Farmers Union of Malawi (FUM) and it is in two phases. The first phase runs to up May 20 when all contestants including presidential and parliamentary aspirants will be sensitized to include the issue of providing agricultural markets in their campaigns. The second phase will run after May 20 when OXFAM and FUM will follow up with the government on how they can achieve the pledges in the MOU. The campaign also recommends the formulation of an agricultural policy, establishment of a comprehensive market information system and a rethink on how to manage the liberalized economy for the benefit of smallholder farmers, including the improvement of farmers’ business skills and organisation plus timely and adequate funding for ADMARC.